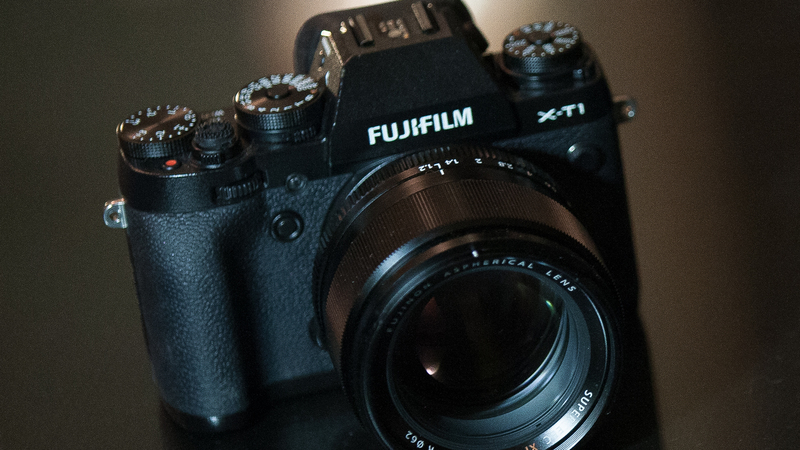 Fujifilm announced a new firmware update, v4.20, for the X-T1! Fujifilm has been known to listen to us, their users, to update features. I, for one, am super excited for the ability to shoot with the a flash in continuous low and continuous high, as previously, one could only fire the flash on a single image capture mode. Other things that make life easier, like focus and exposure locking while in manual focus mode, will help those macro shooters and those who crave a way to make sure they’ve got tack sharp focus. Optional flashguns can be used for bracketing and burst photography. When using the EF-X8, which is bundled with the X-T1, the flash fires in ISO, FILM SIMULATION and WHITE BALANCE BKT modes.
? *A flashgun may not fire in case it is not charged enough between shootings. And continuous shooting in CL and CH mode becomes ?slow when Focus mode is AF-C.
Focus and exposure can be locked when the AF-L button is used in manual focus mode. You can shoot after locking AF and AE with your thumb. The AF-L button can be used to lock focus in AF+MF mode and you can adjust the focus more accurately using the lens’s focusing ring. The FOCUS ASSIST button can be used for focus zoom and you can focus using the lens’s focusing ring with focus zoom activated. Functions have been added to the DISP. CUSTOM SETTING option in the setup menu. The movie-record button doubles as an Fn button (Fn7). Press and hold DISP/BACK to select what it controls. The update can be found at here. Hey Mykii, this is just a heads up but Fuji has just announced that there might be a problem with the X-T1 freezing up in AF-C mode and FW 4.20. They have offered FW 4.21 which will revert the FW back to the stable previous FW 4.10 version. Fuji will have a fixed FW 4.20 with the new features up by the end of January. Oooh!! I didn’t see that! Thanks for pointing that out!